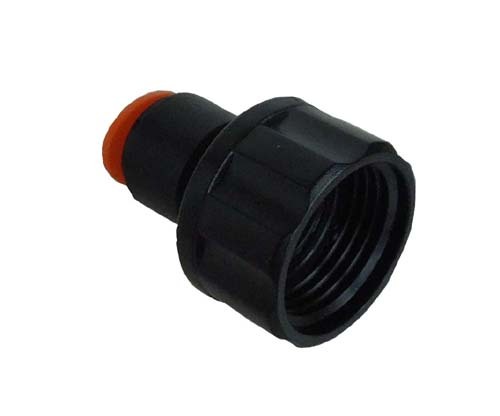 Attach the female hose end to the filter, which you will attach to your water system. Below you can see the teeth inside the openings of the fittings. By pushing down on the orange collar, those teeth retract which allows you to remove the tubing.